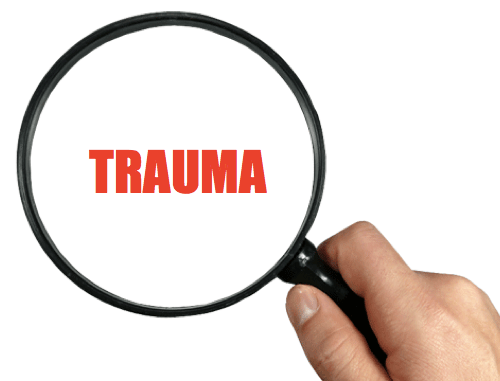 A traumatic experience is any event in life that causes a threat to our safety and potentially places our own life or the lives of others at risk. When a child or a teenager experiences a traumatic event they often have high levels of emotional, psychological, and physical distress that can disrupt their ability to function normally in day to day life. Studies have shown that psychological or emotional trauma can be stored in our brains just like physical trauma can be stored in our bodies. Teen trauma is not rare. In a recent study, 61 percent of teens (ages 13 to 17) had been exposed to at least one traumatic event in their lifetime. 19 percent had experienced three or more such events. difficulties with short-term memory, concentration and problem solving. After a traumatic event or series of events some teens find it difficult to know how to respond to the feelings they are experiencing. Some parents have expressed that their teen’s behavior is no longer making sense and seems to be completely out of character. Their behavior can become reckless or harmful to themselves. They might seem depressed or anxious. Some teens might even begin abusing substances following a traumatic event. In an article, Dr. Suzanne M. Dillman shares two types of therapy approaches to assist a teen in coping with trauma. Both types of therapy are provided at CERTS Programs. Therapists who perform EMDR first receive specialized training from an association such as the EMDR Institute or the EMDR International Association. An EMDR session follows a preset sequence of 8 steps, or phases. Treatment involves the person in therapy mentally focusing on the traumatic experience or negative thought while visually tracking a moving light or the therapist’s moving finger. Auditory tones may also be used in some cases. Debate regarding whether eye movements are truly necessary exists within the field of psychology, but the treatment has been shown to be highly effective for the alleviation and elimination of symptoms of trauma and other distress.